For more than two years they misled us. Exploiting fear and confusion after a shocking event, they warned that our country was in imminent danger at the hands of a mad man. They insisted that legitimate intelligence, including a CIA report issued a month before a national election and a dossier produced by reliable sources in the United Kingdom, proved the threat was real. The subject monopolized discussions on Capitol Hill, in the White House, and in the press. They argued that the situation was so dire that it was straining our relationship with strategic allies. Any evidence to the contrary was readily dismissed. And anyone who questioned their agenda was ridiculed as a coward, a dupe, or a conspiracy theorist. The news media dedicated endless air time and column inches to anyone who wanted to repeat the falsehood. No, I’m not referring here to the Trump-Russia collusion hoax, although the similarities are nearly identical. I’m talking about the period between 2002 and 2004 when many of the very same people who recently peddled collusion fiction also insisted that Saddam Hussein possessed weapons of mass destruction—including material to produce nuclear bombs. On the heels of the horrors of 9/11, the United States and our allies waged war against Iraq in 2003 based primarily on that assurance. But in 2004, a special advisor to the CIA concluded Iraq had no weapons of mass destruction. There were no stockpiles of biological or chemical agents; no plans to develop a nuclear bomb. The main argument for the war had been wholly discredited. But it was too late: The conflict officially raged on for another seven years, including a “surge” of 20,000 more U.S. troops in 2007 at the behest of the late Senator John McCain (R-Ariz.). We still have a troop presence in Iraq to this day. In between the two scandals was more than a decade of recriminations against once-trusted experts on the Right who led our nation into battle. The Iraq war cost the lives of more than 4,400 U.S. troops, maimed tens of thousands more and resulted in an unquantifiable amount of emotional, mental, and physical pain for untold numbers of American military families. Suicide rates for servicemen and veterans have exploded leaving thousands more dead and their families devastated. And it has costtaxpayers more than $2 trillion and counting. So, these discredited outcasts thought they found in the Trump-Russia collusion farce a way to redeem themselves in the news media and recover their lost prestige, power, and paychecks. After all, it cannot be a mere coincidence that a group of influencers on the Right who convinced Americans 16 years ago that we must invade Iraq based on false pretenses are nearly the identical group of people who tried to convince Americans that Donald Trump conspired with the Russians to rig the 2016 election, an allegation also based on hearsay and specious evidence. It cannot be an innocent mistake. It cannot be explained away as an example of ignorance in the defense of national security or democracy or human decency. It cannot be justified as a mere miscalculation based on the “best available information at the time” nor should we buy any of the numerous excuses that they offered up to rationalize the war. Those are just a handful of examples from a deep trove of comparisons. Other accomplices on the Right involved in both scandals include former NSA Director Michael Hayden; former Weekly Standardeditor Stephen Hayes; MSNBC host and former U.S. Representative Joe Scarborough; neoconservative think tankers Robert Kagan and Eliot Cohen; and former Bush aides Michael Gerson and Peter Wehner. And let’s not forget who was in charge of the FBI before, during, and after the Iraq War: Robert Mueller, the Special Counsel hired in May 2017 to find evidence of Russian collusion. In his February 2003 Senate testimony, Mueller confirmed reports that Hussein had weapons of mass destruction and expressed concern that Hussein “may supply terrorists with biological, chemical or radiological material.” James Comey, Mueller’s close friend and successor at the FBI, served as George W. Bush’s deputy attorney general from 2003 to 2005. Comey, of course, is the man who opened an investigation into the Trump campaign in July 2016 and signed the FISA application in October 2016 to spy on Trump campaign aide, Carter Page. Both, we’ve been assured repeatedly, were Republicans. So why did they do it? Why did Kristol, McCain, Frum, Boot, et. al., dive headlong and without shame into a domestic political war with just as much thoughtless braggadocio as they brought to the disastrous Iraq war? Clearly, this war did not have the same deadly results as the war in Iraq but, nonetheless, it fueled an unprecedented degree of anger and division among our countrymen and toward our new president. It ensnared innocent people who suffered real-life consequences, their fate grotesquely cheered by these mendacious fraudsters. If you had the blood of so many young Americans and more than 100,000 Iraqis on your hands because you peddled a lie, wouldn’t you be a tad more cautious before repeating that kind of mistake? If you assured Americans that the Iraq war would last just a few months, as Bill Kristol said in 2002, but instead it ended up lasting eight years, wouldn’t you be chastened about making more predictions? If your actions led directly to the election of a Democratic president who launched his winning campaign based on your egregious failures, wouldn’t you hesitate before inserting yourself in another scandal that gave fodder to your political opponents at your expense? 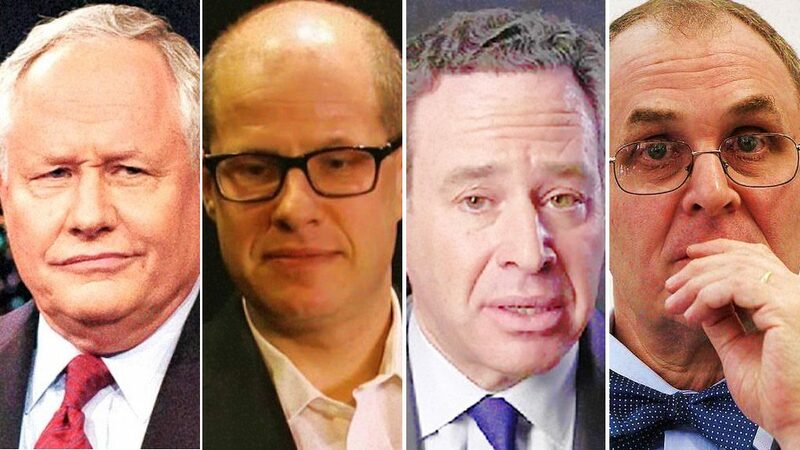 It’s unlikely any of these collusion propagandists on the Right truly believed the contents of the Steele dossier. One reason they played along was to exact revenge against the man who won the White House over their objections and called their bluff on the Iraq War: Donald Trump. The crowd mostly booed. But Trump didn’t back down. In a post-debate interview on Fox News, Trump reiterated his criticism. “The Iraq war was a disaster. We spent $2 trillion, thousands of lives. What do we have?” he asked Tucker Carlson. “We have nothing, absolutely nothing.” Nothing except a massive bill in blood and treasure borne mostly by the middle and working class. At the time, Trump’s view was well outside the mainstream of conservative orthodoxy. Republicans were not inclined to admit failure on the battlefield, let alone to doubt the motives of intelligence, military, and political leadership we had trusted and were taught not to question. “Challenging the assumption that Saddam Hussein had weapons of mass destruction would draw scorn and mockery,” Adam Mill reminded us in an excellent piece for American Greatness. Further, with near-unanimous consent, House and Senate Republicans voted in 2002 to authorize military force against Iraq. But Trump laid bare the culpability of the failed war’s Republican architects. He exposed the lingering guilt many rank-and-file Republicans felt about their unflinching support for a war that ultimately was based on a docket of falsehoods and empty promises. A war its promoters were eager to get into but had no plan to win. Further, Trump intended to halt the Republican Party’s fealty to the Bush Doctrine. The post-9/11 foreign policy of the neoconservatives running the Bush Administration centered around preemptive war, regime change, and the spread of democracy in the Middle East. A red line, so to speak, had been crossed. The candidate likely to win the Republican presidential nomination was taking direct aim at the elite Republican establishment so they responded in kind. Dozens of Republican national security and intelligence experts denounced Trump in an August 2016 public letter, insisting he would be a “dangerous president and put at risk our country’s national security and well-being.” Kristol enlisted an independent candidate to run against Trump. The symmetry is impossible to ignore or dismiss as coincidence. The Trump-Russia collusion hoax was a chance for these jilted influencers to get revenge against a president and a party that no longer had any use for them. Trump threatened their long-held grasp of centralized power, so they did everything they could to hold on to it, including siding with the Left to sabotage him. It was a craven act of self-restoration. Excommunicated by the Right, they sought to redeem themselves by sucking up to the Left, which not so long ago accused Iraq war promoters of being criminals. The question now is, will the Left shun these useful idiots once and for all? Now that their role in pushing the collusion narrative from the anti-Trump Right is over, will they stop booking Kristol on CNN? Will the Washington Post stop publishing Boot and Wehner and Hayden? Will Jake Tapper ask them any hard question, such as, “how can you be so wrong twice in 15 years?” Will the anti-war Left remember the human destruction for which they are responsible? Further, they viewed Robert Mueller as the man who could destroy Trump. Much like their objective in the aftermath of the Iraq war, their end goal was to be proven right that Donald Trump was unfit to lead, not actually to do what was right for the country. It was pure ego. Unfortunately, that probably isn’t where the similarities between Russian collusion and the Iraq War will end. The collusion propagandists on the Right will never apologize for supporting the hoax—just like most have not yet apologized for leading the country into a deadly, destructive, and arguably unnecessary war. Even now, after both the Mueller investigation and the House Intelligence committee have found no evidence of collusion, they won’t let up. Kristol is still tweeting Trump-Russian conspiracy theories and both Kristol and Frum are creating new conspiracies about the Mueller report. They know no shame. Corn and Isikoff were the two reporters who published Steele dossier-sourced articles prior to the 2016 presidential election. Isikoff’s article was cited extensively in the October 2016 FISA application on Trump campaign aide Carter Page. Of course, they won’t pay a price, either. So, there may not be a short-term price for the Iraq War/Trump-Russia propagandists on the Right to pay. The only consolation, if there is one, is that these con men are unlikely to ever to have a home again in the Republican Party. They will not have any influence; they’ll be political poison for any candidate dumb enough to seek their endorsement. They can never again initiate a foreign war that costs thousands of American lives and trillions of dollars. Yes, they’ll be played for fools at CNN, MSNBC and in the Washington Post—trotted out as “conservatives” to condemn Republicans who are actually advancing policies that help the country. But they will never be taken seriously by anyone on the Right; to the contrary, they’ll be a collective cautionary tale for future generations of Republican leaders and influencers. While they are not directly responsible for enormous bloodshed in this instance, like they are for the Iraq War, their deception about Trump-Russia collusion did result in actual harm to hundreds of people victimized by the farce. Every Trump family member and associate has been under a shadow of manufactured suspicion since the election; ditto for every White House aide, cabinet member, and former campaign worker. The amount of money and time wasted on this travesty will never fully be known. Carter Page, a former U.S. Navy officer, was stalked relentlessly by the media and congressional investigators—and was a recipient of numerous death threats—not to mention spied on by his own government for a year in a fruitless attempt to find collusion between the campaign and the Kremlin. Lt. Gen. Michael Flynn, still not sentenced more than 18 months after his plea deal for one count of lying to federal officials, is bankrupt. The home of Roger Stone was raided by the FBI at dawn; he, too, is going bankrupt. The civil libertarians and so-called freedom-loving conservatives all have been silent on these political persecutions. Will the Fraudsters Get Away With It Again? The country has been divided by hate and rage and unjustified distrust. Legitimate problems—such as illegal immigration, sustained job growth for the middle class, faulty trade agreements, the opioid crisis—have been completely ignored by our ruling class with the exception of President Trump. Calls to retaliate against Russia have been far and wide, while real international threats, such as China, North Korea, and ISIS have been overlooked by the collusion propagandists. This has been their intention all along; with no solutions to offer for any of these issues, the vanquished neoconservatives cling to relevance by spinning fabulist tales all in service of destroying a Republican president. The goal of the intersectional Iraq War and Trump-Russia collusion fraudsters was clear: Regime change. The playbook is nearly identical—produce flawed intelligence, rally support from the media, portray any opponent as a bad actor, keep creating new crimes. However this time, instead of seeking to depose an Iraqi tyrant, the collusion propagandists within the conservative establishment sought to remove a duly elected U.S. president. This is unconscionable and likely illegal. It’s the reason why Representative Devin Nunes (R-Calif.) this week is expected to make at least eight criminal referrals to the Justice Department related to the real scandal: The weaponization of the world’s most powerful law enforcement and intelligence apparatus to sabotage a rival presidential campaign and derail an incoming administration. That’s a necessary start. But those who did not engage in specifically illegal activity but nonetheless bolstered those venal efforts also must be held responsible. They escaped justice and accountability once—they can’t get away with it again. They must be shamed into political oblivion.